It’s time to put the video games down and take the kids outside to experience childhood the way you remember it…in the great outdoors. Start the day off exploring nature at Sand Ridge Nature Center in South Holland. Fans of dragonflies and butterflies are treated to their aerial displays on warm days. You’ll find native wildlife including birds of prey, snakes, turtles, fish and a Kid’s Corner with hands-on activities. Reproduction log cabins depict the lifestyles of early 19th Century Illinois. 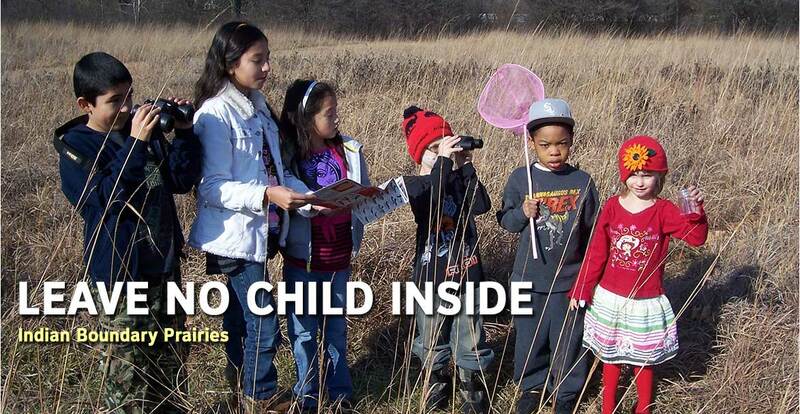 Or choose to show the kiddos a perennial kaleidoscope of changing colors, forms and biotic diversity in the finest tall grass prairie preserves found anywhere in the Midwest at Indian Boundary Prairies in Markham. Designated as a National Natural Landmark by the National Park Service, it consists of four sites including Dropseed Prairie, Gensburg Prairie, Paintbrush Prairie and Sundrop Prairie. Together these sites form a complex of natural lands with a combined area of over 300 acres. If you’re more in the mood to fish or row a boat, head over to Monee Reservoir. Monee Reservoir protects a 46-acre lake with associated wetland habitat. The Monee Reservoir Visitor Center offers rowboats, pedal boats, canoes, kayaks, fishing poles, snowshoes and sport items for rental. You can also pick up fishing licenses, bait and tackle, snacks, canoe/kayak launch passes, as well as picnic and camping permits. A variety of fun and educational public programs are hosted at Monee Reservoir throughout the year. Don’t forget to make a trip back in January for the annual premier program "Musher Mania" and other snowshoeing programs. Then cool down at White Water Canyon Water Park in Tinley Park. The main pool has a zero depth entry, an interactive children's play area, a 1-meter diving board and a 3-meter drop slide. Relax in the continuously flowing lazy river or choose to take the adventure channel with splash buckets. The Spray Ground is full of interactive fountains, water cannons, arches that spray, flowers that squirt and buckets that dump. The park is complete with a sand play area full of buckets, scoops, shovels and a triple sand and water play table. 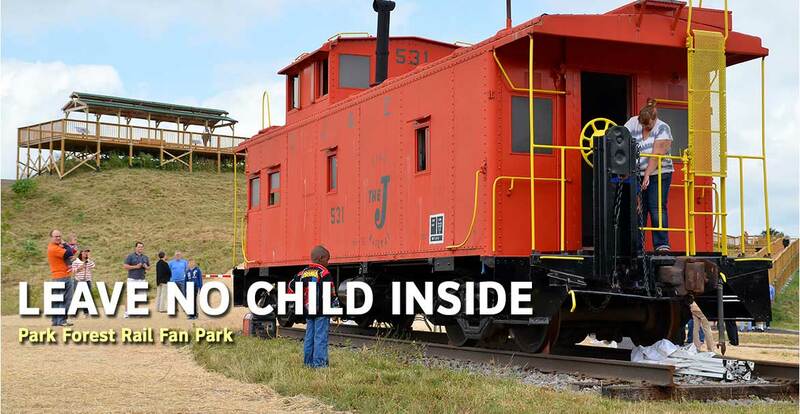 If any of the kids are train enthusiasts, definitely visit Park Forest Railfan Park where they can watch with wonder the Canadian National Railway and Metra trains. This is one of the rare opportunities to see a double wye rail interchange from the 40-foot elevated and wheelchair accessible platform that overlooks a "highway cloverleaf interchange for trains." The platform features eight interpretive signs that describe the history of railroads in Park Forest and the Chicagoland area. Make certain to take pictures of the kids on the restored caboose. For additional Railfan spots visit ChicagoSouthlandRail.com. 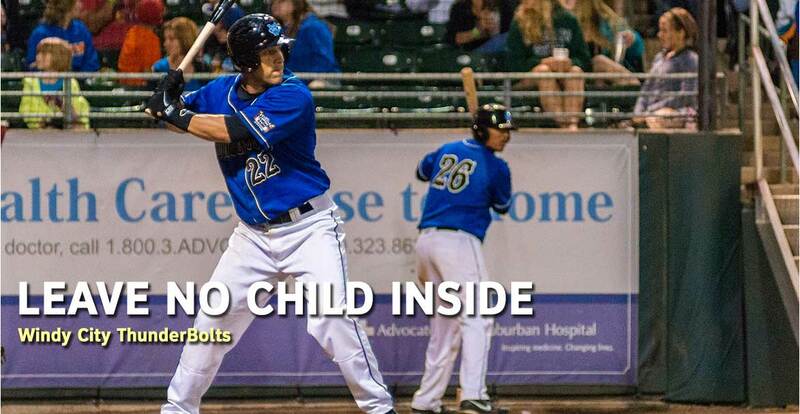 Finish the day outdoors with a Windy City ThunderBolts professional minor league baseball game at Standard Bank Stadium in Crestwood. This is an affordable and fun way to introduce the kids to baseball with theme nights like Princess and Super Hero dress up or a chance to meet the players and run the bases. Each day features a different deal like $2 Ticket Tuesdays or Family Day on Sundays featuring tickets, hot dogs and soda for a family of four at a discounted price. These are just some of the many places to take in the fresh air through Chicago Southland. Check out our list of additional nature centers or look throughout the rest of the Visitors Guide for other ideas to have fun with your kids.